Thought you might like to see this - a little update on testing the Numark NS6, prior to the review coming out next week. People have asked about the mixer capabilities of the unit - well here's a picture that'll please some of you. 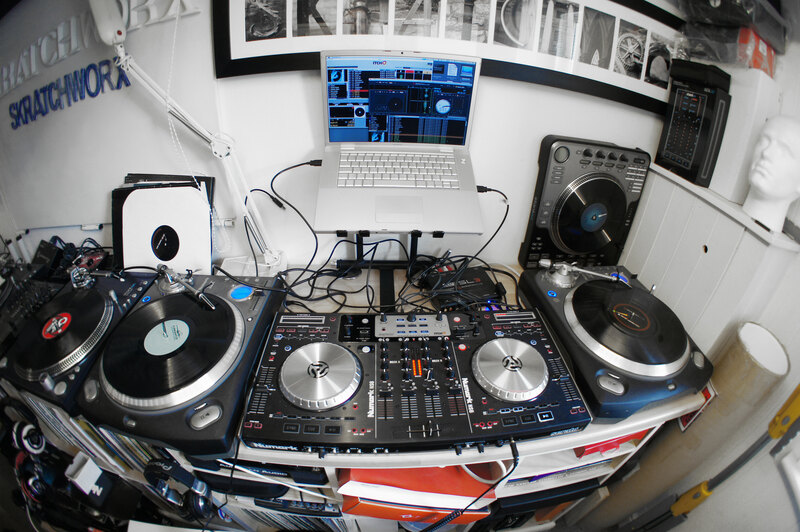 Check out the NS6 running ITCH, Serato Scratch Live and traditional vinyl - all at the same time. I don't know about you, but sometimes I've used a pair of pliers as a hammer. My point? DJ gear doesn't have to be used by DJs. Case in point - check out the vocal dexterity of Dub FX as he ditches his usual assembly of footpedals and instead funnels his talents through a Native Instruments Kontrol S4. The fundamental building blocks of mixing are simple in principle. But learning them and putting then into practice are entirely different matter. I come from a time where the internet didn't even exist, so it was a matter of listening to the top DJs of the day and trying to work out what they were doing. But with computers, you can learn about pitch, key, breaks, intros, outros etc and importantly learning what to mix, when to mix it and for how long without buying a full DJ setup. 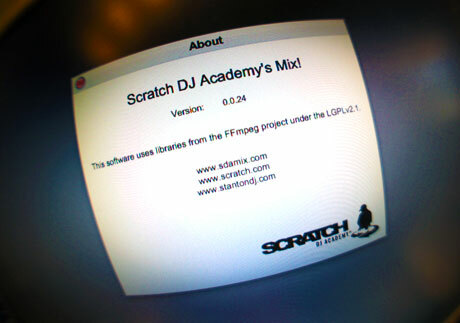 In collaboration with the Scratch DJ Academy, Stanton have announced MIX! - software that gives you the very basics of mix creation for not a lot of cash. And I've reviewed it. Hats off to Ean Golden - he had a vision and went for it. As a leading exponent of the controllerist nu school, he's better placed than most to understand what's needed and has gone off and made his own line of hardware. He took the legendary Vestax VCI-100 and made it his own with new firmware and hardware mods, and also made his own arcade button based Midi Fighter. 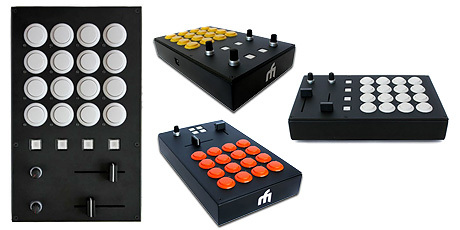 And now the Midi Fighter Pro range is here - 4 models tailored to specific needs. Pioneer have a reputation of making gear so pant wettingly awesome, that it's just a matter of time before your willpower breaks and you empty what is left of your bank account into the hands of your local DJ boutique. So when something costing less that 100 of most popular currencies bears a Pioneer badge of honour comes along, my interestometer registers off the scale. 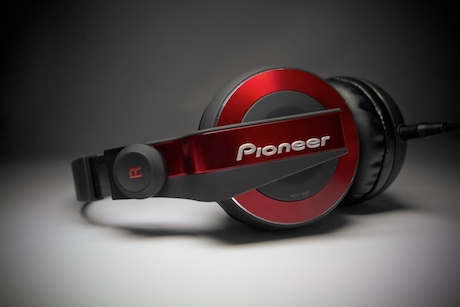 The Pioneer HDJ-500s scream lifestyle, but cross over into DJ territory too. When Numark set their mind to something, they bloody well go for it with all they have. So it comes as no surprise to learn that they want you to know in no uncertain terms that their long awaited foray into the 4 channel controller market - the Numark NS6 - will be available on June 1st. And they've snapped up a considerable amount of skratchworx real estate to do just that. But aside from the obvious site decoration, I'll be knocking out a few extra features, the first of which is the ubiquitous unboxing session, as well as a handful of initial findings. You'll have noticed that while other online resources have unleashed several detailed pieces about iPad music apps, I've yet to succumb to the wider charms of trying to DJ in a small touch screen environment. I'm sure I will when I set some time aside and really immerse myself in it, but one app that does ring my bell is algoriddim's djay for iPad. Not just because they pay me to make quality videos for them, but because it's as close to traditional DJing as you can get. And a new version is out that taps into the better processing abilities of the iPad 2. Another day, another wireless DJ concept. After this week's kerfuffle surround the somewhat awesome idea of wireless headshells, another technology came to light in the same post that has since filled my inbox and tweet timeline, so I figure it's best to give it some coverage all of its own. Mopho DJ repurposes your suitably equipped smartphone into a wireless vinyl controller. Now that's thinking differently, but is it just too different? Rolling out an overused platitude, but it's often the simplest of ideas that are the best. And this particular idea could have a massive impact on turntable use, to the point of eradicating the conventional audio interface from our setups. 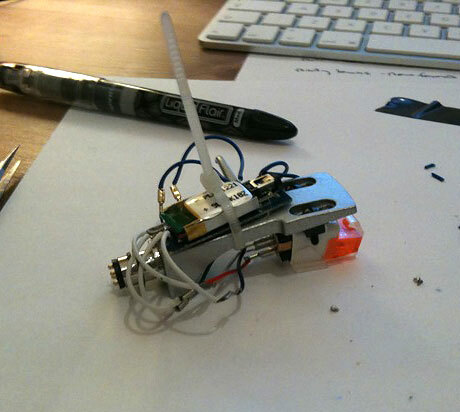 If I just say "wireless headshells", you'll get the idea of what this post is about. Electrix is a name that keeps popping up through the annals of recent DJ and music history. Probably most famous (or notorious depending on your viewpoint) for their Repeater looper, the brand has now resurfaced with The Tweaker - a MIDI controller for a wide range of users. I snapped the above picture of a quite sorry prototype at Musikmesse, but the unit has now been formally announced. Skratchworx has been online for over 7 years now, and for the best part of that time, because of the not quite a full number release, djDecks has existed in a what appeared to be a state of perpetual beta. Adion's hard work paid off and it got picked up by PCDJ and rebadged to fill a gap in their product range. 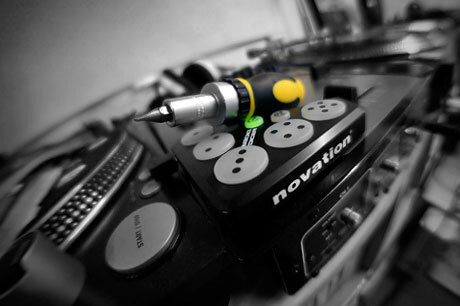 The original djDecks however carried on down its own development path and has now come of age. Bye bye beta - hello landmark release. V1 is out and ready for download - and there's a crapload of good stuff in it too. And in doing so, gets a version counter all of its own. Seems that whenever I see a new video of some hot young or not so young thing working their magic in Serato’s Scratch Live, Novation’s Dicers are making an increasingly regular guest appearance. And with good reason as they’re a no-brainer purchase that makes cues and loops so much easier to tame. But out of the box, they’re a reasonably closed system. So imagine my delight when I saw that these little puppies had been cracked open like an overripe watermelon via the oh so aptly named Dicetools. Back in the dark ages aka the late 70s/early 80s, in the post-Punk era and just before I had been bitten by the DJ bug, I was seriously into electronic music. Couldn't get enough Kraftwerk of course, but being in England, I was lucky enough to be immersed in the growing synth music scene. Taking me right back to that time is a BBC program called Synth Britannia, where the luminaries of said scene share their thoughts and experiences of those revolutionary times. And watching it, I couldn't help but see the parallels with the controllerist scene right now. Allow me to explain. Having a world of endless and constantly updated information has changed the world in more ways than we can imagine. But there are times when a well written book hits the spot better than any PDF can. And that is most definitely the case with the Traktor Bible. 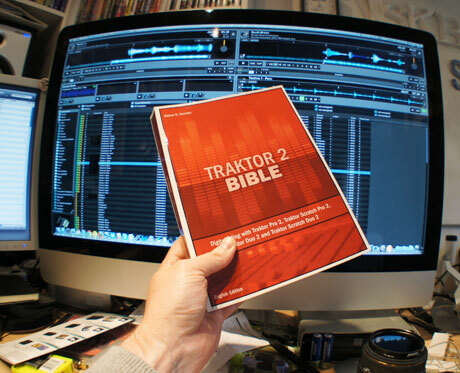 In line with the release of Traktor Pro 2, Rainer G. Haselier has updated his epic tome with all the latest goodies that TP2 brings. Performance time. Berlin's DJ Freshfluke represents 2 camps - Native Instruments and American Audio. So it makes perfect sense that she should bring them together to showcase Traktor Pro 2 and the VMS4 at Musikmesse 2011. What follows are freestyle and very rehearsed performances. One of the unexpected (only because it was a well kept secret) successes of Musikmesse 2011 was Stanton's SCS.4DJ - an all in one laptop-free controller, that also works happily as a MIDI controller. Like many others, we pinned down resident Stanton demo guy DJ B-Side to do his magic to our multiple-camera setup shot by resident camera dude DJ Pegasus. And even though it is late, I figured you'd like to see it anyway. First off - I'm catching up slowly so apologies for the lateness of posting this. But it's worthwhile seeing despite the tardiness. 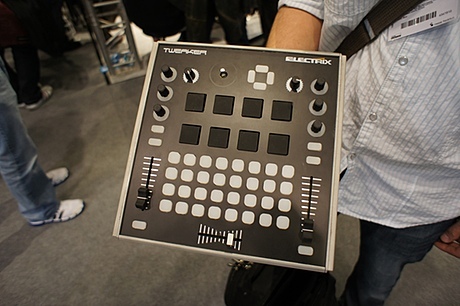 As ever, Numark brought out a few big guns at Musikmesse. One such gun was the successor to last year's Mixdeck. Obviously called Mixdeck Quad, this unit joins the convoy of 4 deck controllers rolling through the market right now, but adds a few useful additions along the way. If you're a frequent visitor, you'll noted that it's been a little quiet for a while. I do have some rather more pressing matters on my mind, and have found my patience and my creative flow a tad screwed recently. So instead of attempting to conjure up a stream of witticisms, I decided to dust off my more analytical web head and fix the mess that has just got worse over time. I've done some routine and final maintenance before the new site comes along.